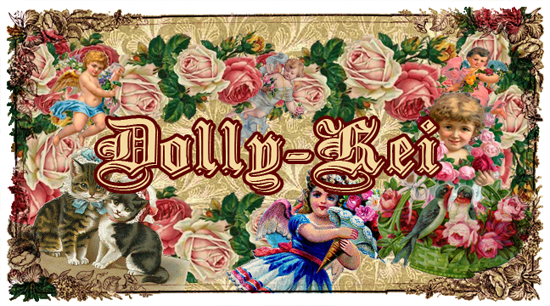 One major defining factor in Dolly-kei is the amount of layering that is used. 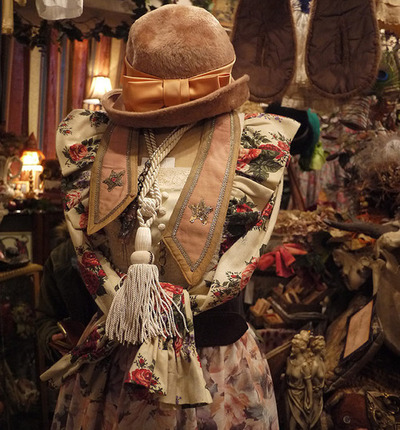 It is not unusual to see dresses over shirts and shawls, lace vests or coats over that. The length of the dress and skirt are also apparent, with them going low as the floor or ankles. The shoes vary from person to person but one apparent trend is the variety of rocking horse shoes and boots. 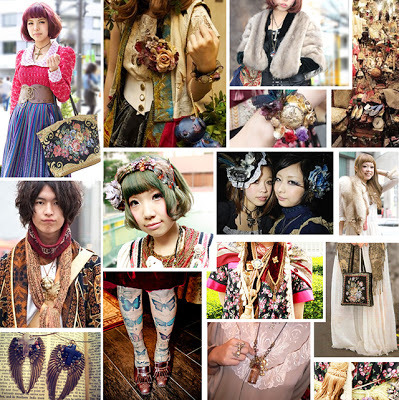 Unlike Mori Girl, Dolly-kei does not stick with the soft colors of cream and browns. 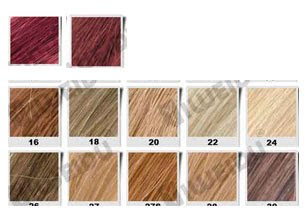 Instead it branches out to include more noble colours of deep purples, golds, reds and muted versions of those colors. So rather than a poppy-cute look, the style gives off a more elegant style, that of what you may see on a bisque doll. According to Electric Alice, “The fabrics and materials are themselves more luxurious, with lots of rich velvet, raw silk and delicate embroidery with golden thread.” Another trend in the fashion is fur. Now I myself do not know whether the fur is real or not. Most of the items are imported from vintage stores in America and Europe, so if it is real, then it is probably an antique. But it is not uncommon to see the girls of the style sport a fur shawl or a fox’s tail at their hip. Hair accessories are usually not as clustered as other parts of the outfit; usually they are simple bows, ribbons, ornamented scrunchies and fascinators. As for jewellery they can range as it’s usually left up to the wearer. There are some girls who wear none at all, hide behind their layers of clothes and those who pile it on to complete their look. Crucifixes, vintage pendants and emblems are really popular. Big belts are also popular; bags can also be big, with lots of embroidery to compliment the outfit. 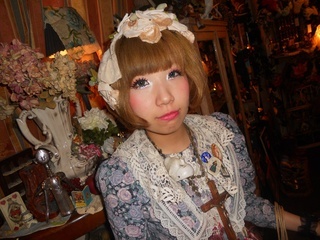 Make-up is usually minimalistic, but there are girls who go hard on the blush for that added doll look. 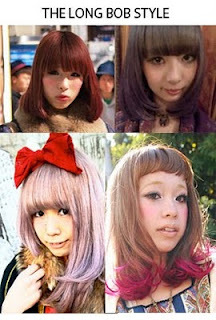 Hair plays a defining factor in quite a few styles in Japanese fashion and Dolly-kei is no exception. You’ll be hard pressed to find girls without fringes. Whether it’s just long, in a long bob style or tied back, you’ll be sure to see hair right above their eyes. 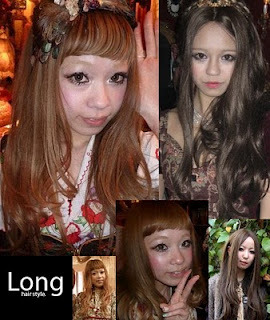 Once again, it is reminiscent of dolls of the past that are usually portrayed with thick fringes. 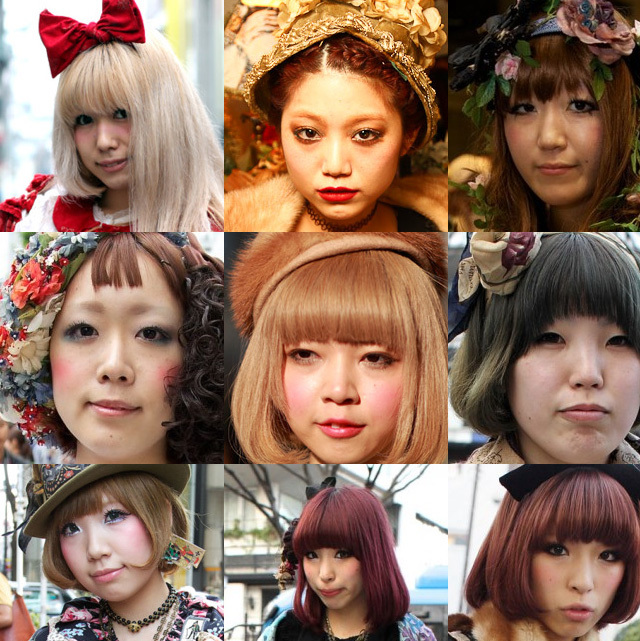 RedPolkadotMushrooms has shown the most popular colours and hairstyles found in Dolly-kei, as seen below. 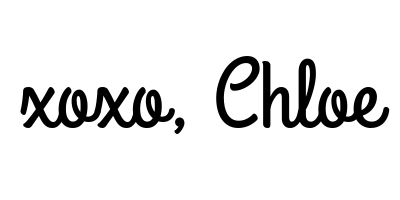 Once again, I’ve been fooled by the name when I first heard about the style. 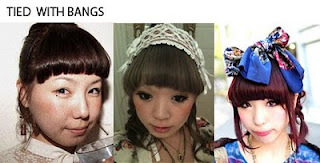 I thought maybe this is what the real/human doll look was based on. But it’s far from it, and I’m glad. Like the real doll look is about looking perfect, while dolly-kei, it’s more like taking doll-esque elements and turning it into what you want. I think I’m only iffy about the style is fur, it’s kinda hard to look at some with a fox slung over their shoulders, real or not.